The enclosure’s windows are removable. 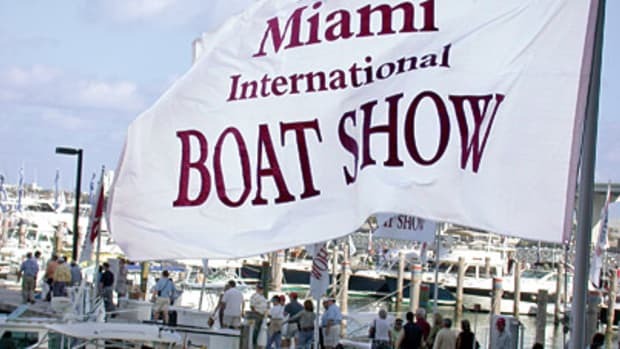 “You can be in a protected, climate-controlled space or completely open up the boat,” James says. 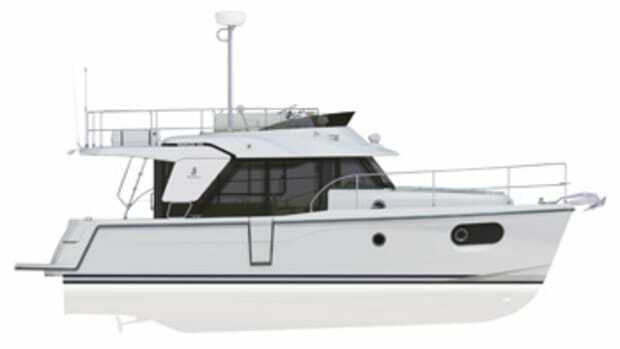 And thanks to the Gulfstream’s 15-foot beam, the pilothouse can serve as a second stateroom, with a U-shaped dinette that converts to a berth. 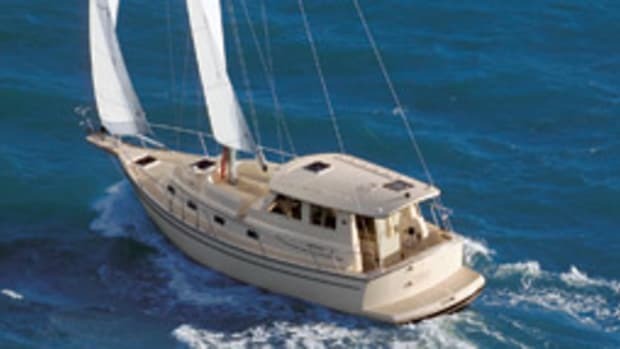 The cabin below has a forward dinette that doubles as a two-person berth, a head with a shower and a mini-galley. 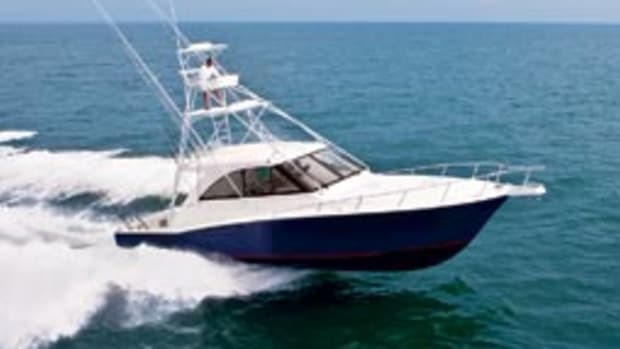 “You can have a fishing-oriented layout with larger live wells, an open bow and a tower or, if you prefer, more of a cruising configuration,” James says. 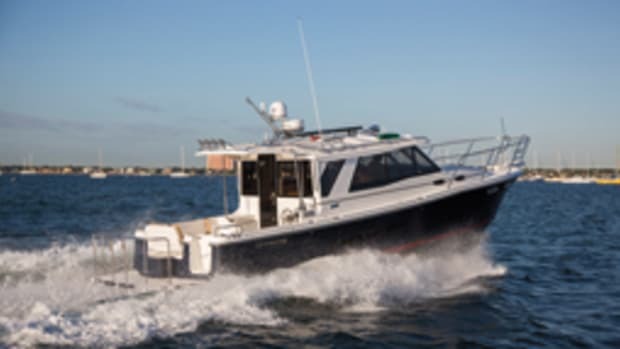 “We can eliminate the tower and include our integrated aft bench and optional forward seating.” You can opt for a door on both sides of the pilothouse or a single aft door. 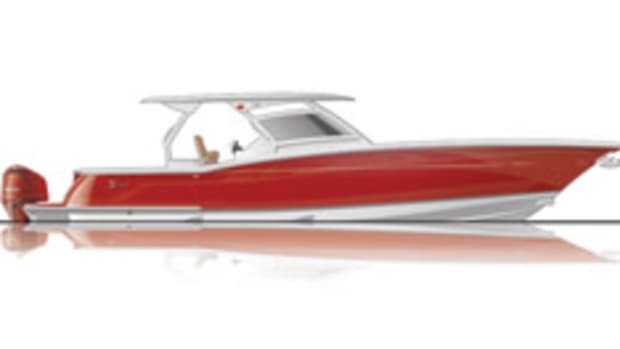 The 52 rides a twin-stepped hull designed by Michael Peters Yacht Design. 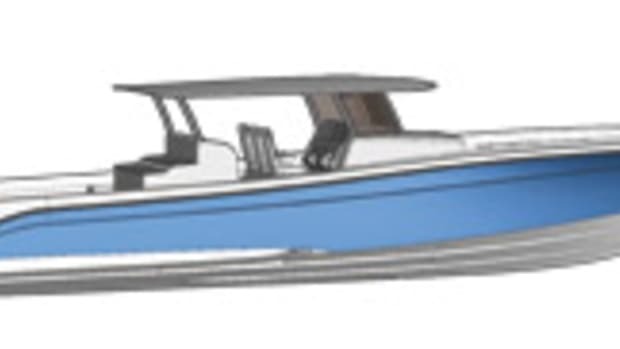 The patented SVVT design (Stepped-Vee Ventilated Tunnel) reduces drag while increasing speed, stability and efficiency. 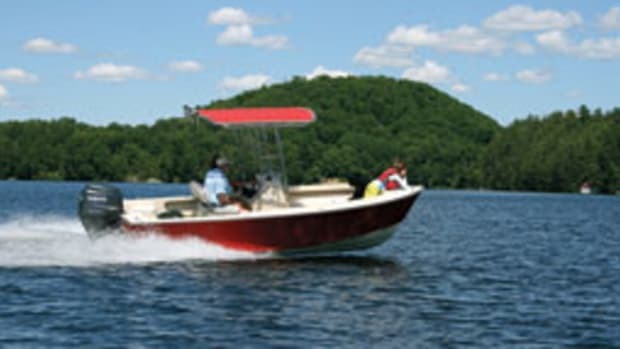 The semicustom boat can be powered with triple, quad or quintuple outboards. 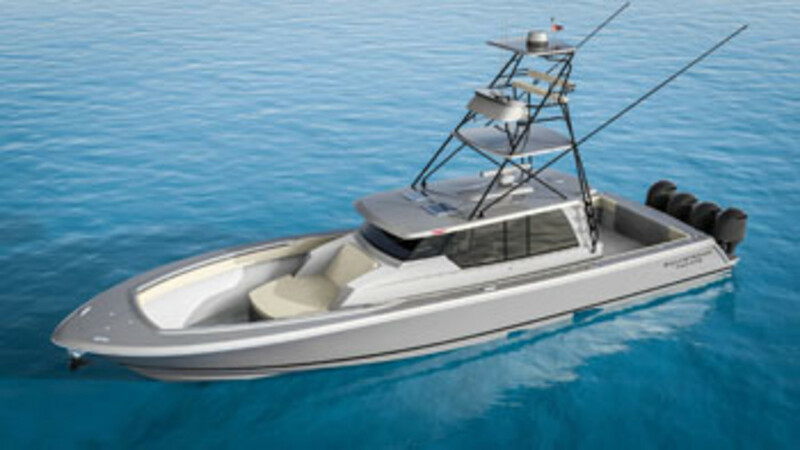 Four Seven Marine 627s will power the first 52, for a top end of 65 mph and a 45-mph cruise. With its 1,065-gallon fuel supply, the Gulfstream has the legs to venture far offshore.